It’s time to be introduced to the amazing world of percussion. Journey through the Time Tunnel to see how cultures across time have made rhythm an integral part of their lives. 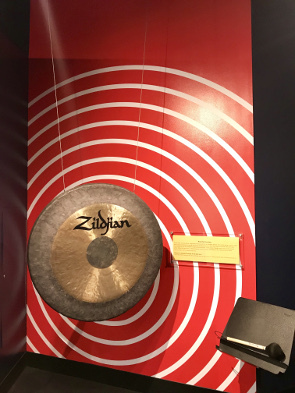 Experience the immense vibrations of our eight-foot gong drum. Listen to the different pitches of our log drum. Watch video footage of how percussion has shaped various cultures and music. Have the chance to play a tam-tam.